Berlin, Germany, Sept 9, 2002 - The Women's Volleyball World Championship, the first to be hosted by a European country since 1986, continues to be a magnet for spectators and media alike. Some 78 matches have been played since the event began on 30th August and they have attracted 223,392 spectators to the host cities of Münster, Riesa, Dresden, Schwerin, Leipzig, Stuttgart and Bremen. Werner von Moltke, President of the German Volleyball Federation DVV and President of the organizing committee VONOG said he was well satisfied, even if a little disappointed by the German team exiting the tournament at the end of the second round. "Two of our three goals are realized," Von Moltke said. "We succeeded in drawing public attention to volleyball and we were able to attract spectators. However, we cannot be satisfied with the performance of the German team," he added. "I had hoped that the German team could have taken more out of the home advantage." FIVB officials present at all venues also expressed satisfaction at the organization of the event. FIVB General Manager Jean-Pierre Seppey was present in Stuttgart to watch the second round match between Korea and Bulgaria, which attracted an audience of 5,667 spectators - a record so far for the tournament. "The audience and atmosphere in Stuttgart were fantastic," Mr. Seppey said after the match. The "Elite Eight" best teams now play the quarterfinals on Wednesday with a continuation of the spectacular volleyball that has been a hallmark of the championship so far. USA has the honor of being the only team yet unbeaten. The three European teams - Russia, Italy and Bulgaria - were the top three a last years European Championship. China and Korea are the two finalists of the 2001 Asian Championship. USA and Cuba played the final of the 2001 Norceca Championship, while Brazil was the 2001 South American Champion. Six of the eight quarterfinalists also reached the final eight of the 2000 Olympic Games. Only Bulgaria and Italy were not among the best eight teams in Sydney. Cuba, China, Russia, Brazil and Italy were the best five teams in the 1998 World Championship. The quarterfinals are to be played in the two German cities of Stuttgart and Bremen, while the semifinals and finals will be in Berlin next weekend. Berlin, Germany, Sept 8, 2002 - Korea completes the quarterfinals candidates at the 2002 Women's Volleyball World Championship after defeating China 3-0 in the last second round Pool F match to spoil The Netherlands' chances of advancing to the "Elite Eight". Other qualifiers are Cuba, Russia, Italy, China, Bulgaria, USA and Brazil. The Koreans had to win at least two sets against China to proceed to the last eight and they managed this with apparent ease against Asia's strongest team. China, confident already of their place rested five of their usual starting six, which allowed Korea to take a comfortable straight sets victory. Like Korea, Bulgaria also advanced as one of the two top ranked third placed teams in the second round. Korean Kwang-Hee Choi was the best scorer of her team with 14 points, exactly the same numbers as Chinese Jing Zhang. "It was a lucky victory for us," said the Korean coach Hoa-Suk Ryu. "I am very happy that we are qualified for the quarterfinals together with China." "We won with a lot of luck and hope that we keep our luck in the next matches," Korean captain Hye-Mi Kang stated. But Korea's joy was Dutch disappointment. The Netherlands finished third in Pool G, but did not have the results to advance. Four years ago, the Dutch team reached the seventh place at the World Championship. USA, the only team still unbeaten in the tournament, extended their winning streak to eight matches after a 3-0 victory over host Germany. The Germans, to their credit and saying goodbye to their home championship nevertheless fought to the last point. USA tops Pool G, with Brazil finishing second. Russia defeated Cuba in a replay of the 2000 Olympic Final and this time exacted revenge and won the match 3-1. Ekaterina Gamova excelled with 28 points. Russia will now meet Italy and USA plays against Cuba in Bremen, while Korea will face Italy and China plays Brazil in Stuttgart. The Quarterfinals are to be played on Wednesday. In the individual rankings, Russian Ekaterina Gamova and Cuban Yumilka Ruiz are the co-leaders of the best scorers ranking with 146 points each. Gamova is also best blocker and best server. Russian Elizaveta Tichtchenko is the best attacker after eight match days. There was no change in the non-scoring skill rankings. The Dutch libero Elke Wijnhoven is still best digger. Brazilian Marcelle Rodrigues is the best setter so far, while Korean Ki-Lan Koo is the best receiver. Players of the four eliminated teams - The Netherlands, Greece, Puerto Rico and Germany - are now erased from the rankings. The 2002 Women's World Championship continues on Wednesday 11 September, when the quarterfinals are scheduled in Bremen and Stuttgart. The final of the 2002 Women's Volleyball World Championship will be played in the German capital Berlin on Sunday 15 September at 1500 CET. The event is already a success, even with the host Germany not qualified for the last eight. In the 72 matches played so far, the average attendance was almost 3,000 spectators per match. Team captain Karin Rodrigues (BRA) We played this very important match with a lot of confidence. It was important for qualifying for the quarterfinals." Head Coach Marco Motta (BRA): The Dutch team has improved and made good progress in the past few months, but we played well and served very well today and that was decisive for our victory. We only had problems with our attack in the second set and consequently lost it. But we were able to overcome that weak streak and won the match." Team Captain Ingrid Visser (NED): It was a very frustrating match for us. The Brazilians served and defended very well. Our team was in the good mood and worked hard, but it was not enough." Head Coach Angelo Frigoni (NED) The key fort he Brazilian success were their powerful, short serves that cost us our rhythm. Now we must wait and hope to qualify for the next round. We missed the chance to qualify directly." Head Coach David Aleman (PUR) We played well, but my team had basically a mental problem. After we finished the preliminaries, we simply forgot to prepare for the second round. Now, the players have a weeks break before training starts again. We have a tight schedule in the next few months. First of all, we play the Central American Games in El Salvador in December and then we have the Pan-American Games next year." Team Captain Xiomara Molero (PUR) Qualifying for the second round was certainly the maximum for our team. It was particularly difficult to motivate ourselves for the second round after the preliminaries." Head Coach Stefan Panchev (BUL): Puerto Rico is always good for surprises, That is why we had to concentrate very hard. Otherwise it would have been difficult for us on the way into the quarterfinals. Puerto Rico has a very big potential and we would like to play more often against teams from Asian and American volleyball systems in the future." Team Captain Vania Sokolova (BUL): We are certainly happy that we won and hope that this won't be our last victory at this World Championship." Team Captain Manuela Leggeri (ITA): My team won an important match. We did our best. Now we have to wait and see what happens in the other matches and see if we move to the quarterfinals. Most important for us is the result of the match between Brazil and the Netherlands." Head Coach Marco Bonitta (ITA): My team was under a lot of pressure in this match. Also, we had great respect for the team from Greece, which performed well against Russia and Cuba. It wasn't a nice match - but most important is that we won. We would prefer to play the quarter final in Stuttgart because it is closer to Italy. To be serious: It doesn't matter where we play, as long as we do play the quarter final." Player Charikleia Sakkoula (GRE) We didn't play well today. Maybe we were tired after all these matches at the World Championship. But Italy was strong, too." Head Coach Dimitrios Floros (GRE): We wanted to make a good impression at the end of this World Championship, of course it was our wish to win against Italy. Unfortunately we didn't succeed. But this doesn't destroy the positive impression that we made at this World Championship. There might be some small changes but in general the team, which was here, will play at the Olympic Games in 2004." 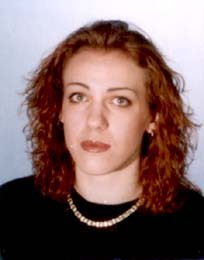 Berlin, Germany, Sept 8, 2002 - Brazil, Bulgaria and Italy clinched a place in the quarterfinal in Sunday's second round action at the 2002 Women's Volleyball World Championship. Brazil had to fight hard against The Netherlands (3-1), while the straight sets victories of Bulgaria and Italy were enough to qualify for the last eight. With three second round matches to play, seven of the eight quarterfinalists are already known. The other teams already through are Russia, Cuba, China and USA. Brazil had to defeat The Netherlands to make the top two teams in Pool G, but the Dutch team did not make it easy, especially in the third set, which finally went to Brazil 26-24. Luciana Nascimento was the best scorer with 18 points, while Welissa Gonzaga made 17 points. The Dutch team was understandably disappointed. They already had a chance against USA on Saturday to book a quarterfinal spot but now they must wait the outcome of the day's final matches. The top two teams from the three second round pools, plus the two best-ranked third placed teams go on to the quarterfinals and the result of the match between Korea and China in Pool F (1630 CET) will decide their fate. If Korea takes two sets or more, the Asians are qualified. If China wins the match 3-0 or 3-1, The Netherlands takes their place in the "Elite Eight". In Sunday's action, Italy had some difficulties against Greece even though they took the match in straight sets. Italy lost two earlier second round matches but was undefeated in the first round. Elisa Togut was the best scorer with 17 points, while Francesca Piccinini played a great match scoring 12 points. "I hope we will play in Stuttgart, because it is closer to Italy," joked Italian coach Marco Bonitta. Bulgaria overpowered Puerto Rico to take their second victory in the second round matches. The Caribbean team was powerless against the attacks of Antonia Zetova (14 points) and Vania Sokolova (12 points). Bulgaria has made the quarterfinals for the first time since 1970 when they hosted the World Championship. "We know our opponent in the quarterfinal will be tough, because only strong teams qualify," the Bulgarian coach Stefan Panchev said. "But we will fight for every point and we will never give up." Round two finishes Sunday evening. The quarterfinals will be played on Wednesday 11 September in Bremen and Stuttgart. The final of the 2002 Women's Volleyball World Championship will be played in the German capital Berlin on Sunday 15 September at 1500 CET. A report on the Sunday evening matches will follow. eam Captain Karin Rodrigues (BRA): Today's victory over Germany was very important for us because we lost our match yesterday. We played well today al-though the crowds of course were supporting the home team. The German team might not have reckoned with with our improving." Birgit Thumm (GER): Naturally, the entire team is very sad about this defeat, but we have to admit that we played below our normal level and were very self-conscious in many areas. Every individual player must get back her self-confidence and got into such matches much more relaxed. We played well in the first round at Muenster, but still lost, and some players get over it more easily than others. We simply had more confidence when we played the Grand Prix." Head Coach Marco Motta (BRA) I am not only happy that we defeated Germany today but particularly with my players' attitude on court. Head Coach Hee Wan Lee (GER): We sometimes played well and sometimes below our level. Our game is simply lacking consistency. Further problems were that some players did not what I told them and that we are missing some players so that I don't have real alternatives." Head Coach Chen Zhonghe (CHN) Puerto Rico is a very young team and does not have a lot of experience. We seldom had any difficulties. A few small things did not work that well. We have to improve on that, because we do not get so many chances when we play against strong teams." Team Captain Kun Feng (CHN): We have played well today. In the quarterfinals we have to face strong opponents now and we hope that our combination will be as good as today." Head Coach David Aleman (PUR) China played a very fast game. They are one of the best teams in the world and we were privileged to play against them. The support of the spectators was fantastic. A few Puerto Ricans, who are based in Germany with the US army, were also here. Despite the two defeats we are not frustrated and will perform well against Bulgaria tomorrow." Team Captain Xiomara Molero (PUR): In matches against teams like China or Korea we can gather a lot of experience. Today we played much better than yesterday. But the match against Bulgaria is most important to us. I think that we have chances to win tomorrow." Team Captain Maria Gkaragkouni (GRE): "We showed a great performance. I wish we won the second set. We still have one match left at this World Championship. We want to perform as well as we did before." Head Coach Dimitrios Floros (GRE): "It was a very close match, especially in the first and second set. Compared to out matches against Russia one year ago we have improved. We can only guess what would have happened if we won the second set. In any case we would have had a lot more self-confidence." Player Tatiana Gratscheva (RUS): "Congratulation to the Greek team, they played very well. We are not satisfied with our performance. We have to improve for the rest of the tournament. We don't think that the spectators don't support us, they are here to see an exciting and interesting match." Head Coach Nikolai Karpol (RUS): "I have the same opinion as my team. It depends on the players if we will play with this formation at the Olympic Games. Elena Godina doesn't play very often because she is in the state of transition from being an outside attacker to becoming a universal player." Berlin, Germany, Sept 7, 2002 - Tournament favorites Russia and China both secured their second victory in the second round of the 2002 Women's Volleyball World Championship on Saturday, with Russia, the European Champion, defeating Greece in straight sets in Pool E, while Asia's best team triumphed over Puerto Rico. Host Germany now only has a small theoretical chance to make it to the quarterfinal after they went down 0-3 to Brazil in the other early match. Germany, playing with the weight of national expectation on their shoulders ,sacrificed too many big points against Brazil and now they have to beat the strong USA team on Sunday to have a chance to advance to the Elite Eight. Germany made 26 errors, while Brazil only registered eight. "It is hard to give an explanation about what went wrong," German star player Angelina Gruen said immediately after the match. "The Brazilian block kept us under big pressure and when we were leading, we lost too many consecutive points and let Brazil back into the match." Gruen would not even speculate on whether Germany might scrape into the quarterfinals. "First we have to win a match, then we can calculate if we get through to the quarterfinal. We only have one chance: we have to beat USA." This will not be easy for the Germans, as the American lineup is enjoying excellent and consistent form. German Sylvia Roll was the best scorer of the match with 19 points, even outplaying Gruen, who made 13 points. 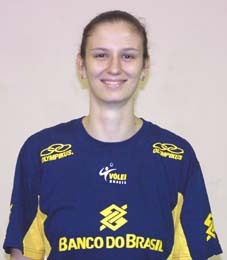 Brazilian Luciana Nacimento was the best player of her team with 13 points. In other action, China took the second straight 3-0 victory in Pool F, played in the Hanns-Martin-Schleyer-Halle in Stuttgart. They overpowered Puerto Rico in just one hour for their straight sets victory. Coach Zhonghe Chen rested four of his starting six players in the third set. Chinese attackers Hao Yang and Ruirui Zhao, as well as Aurea Cruz of Puerto Rico all made 10 points in this Pool F clash. Russia stumbled a little in their clash with Greece of the court in the Pool E clash in Bremen, with the championship rookies fighting hard till the bitter end. Even though it was not enough to win them a set, they did come close in the second, pushing Russia to four set points. Evguenia Artamonova added 25 points to her tournament total, while Elizaveta Tichtchenko scored 16 points. Second round matches continue on Saturday evening and Sunday. The top two teams from each group plus the two best-ranked third teams proceed to the quarterfinal. The final of the 2002 Women's Volleyball World Championship will be played in the German capital Berlin on Sunday 15 September at 1500 CET. A report on the Saturday evening matches will follow. Berlin, Germany, Sept 6, 2002 - The Netherlands put a stop to some of Germany's dreams here at the Women's Volleyball World Championship by defeating host and neighbor 3-1 in their opening second round match. The Dutch women made a good recovery after letting the first set slip form their grasp, but Germany, a last minute candidate for the second round, also put up a good showing in the second before letting the advantage slip from their grasp. "It is sensational to defeat Germany in front of almost 5,000 spectators shouting for your opponent," said Dutch coach Angelino Frigoni. "There was more pressure on the German team than on our formation." Frigoni made an effective tactical move by slipping the lofty young setter Kim Staelens into the starting six from the third set to replace the smaller Riette Fledderus. Maureen Staal, who came in the replace the injured Manon Flier scored 10 points. Elles Leferink was the best Dutch scorer with 17 points, but she was outplayed by German star Angelina Gruen, who made 22 points in the match and has an impressive 119 points in the tournament so far. Germany has a difficult job ahead of them now as they have to face Brazil on Saturday and the USA on Sunday. In earlier second round action Friday, USA defeated Brazil 3-0. Russia and Italy delivered an exciting five-setter, which finally went the way of the Russians. Italy allowed Russia a handy lead at the beginning of the tiebreaker and although they pulled back, the Russians went on to take the match. It was Italy's first defeat in the tournament so far - indeed up until Friday night they had not dropped a set. Faced with their toughest traditional rivals, the Squadra Azzura just couldn't find the pace to carry them through. "We didn't lose this match in the fifth set but in the first and second set," said Italy's Head Coach Marco Bonitta. "You cannot make these mistakes when you play against Russia. If we want to beat Russia, we need two players who are taller than two meters." Earlier on Friday, Cuba defeated Greece (3-1) in the same pool. In other action, Korea had no problems with Puerto Rico in their Pool F clash in Stuttgart and the Asians won their sixth match in a row. They can secure a quarterfinal berth by defeating Bulgaria on Saturday. Korea is currently fielding a strong team of universally talented players. Against Puerto Rico, So-Yun Chang scored 15 points, while her teammate Min-Jung Ku added another 14. Head coach Hoa-Suk Ryu rotated most of his players, giving 11 a run during the match. Earlier in Pool E, China defeated Bulgaria in straight sets. In the individual rankings, German Angelina Gruen is leading the best scorers ranking with 119 points, followed by Cuban Yumilka Ruiz who made 109 points in the six matches she played so far. Elizaveta Tichtchenko of Russia is the best attacker so far, while US Danielle Scott is leading the best blockers ranking. Logan Tom of the USA is the best server, while Brazilian Marcelle Rodrigues is leading the best setter ranking. Ki-Lan Koo of Korea is the current best receiver. The Dutch libero Elke Wijnhoven is still the best digger. Second round matches continue on Saturday and Sunday. The top two teams from each group plus the two best-ranked third teams proceed to the quarterfinal. The final of the 2002 Women's Volleyball World Championship will be played in the German capital Berlin on Sunday 15 September at 1500 CET. Team captain Ingrid Visser (NED): This is a fantastic victory for us. In the first set we didn't play well, but we knew that we could improve today and we did a good job." Head Coach Angelo Frigoni (NED) In this very emotional match both teams made many mistakes, but the German team is under a much greater pressure. Though we lost the first set, I told my players they could do it and it was a great victory for our team here in Germany against Germany and in front of almost 5,000 spectators." Team captain Beatrice Dömeland (GER): This defeat in the possibly most important match of the entire event for us is really embarrassing. In the first set we still played with joy, but then we missed two easy set points in the second set and could not get back into the game in the third and fourth set." Head Coach Hee Wan Lee (GER): With such a performance we would have been eliminated already in Muenster. We made too many easy mistakes in the serves and the block. We showed a really bad performance. Perhaps we were still too tired from the previous matches. If we had won the second set the match might have had a different result. In the end, too many own mistakes were decisive for the defeat." Team Captain Manuela Leggeri (ITA): "We began very nervously but improved. Especially our defense grew stronger. If we don't play constantly we can't win against Russia." Head Coach Marco Bonitta (ITA): "We didn't lose this match in the fifth set but in the first and second set. You cannot make these mistakes when you play against Russia. If we want to beat Russia, we need two players, who are taller than two meters." Team Captain Evguenia Armantova (RUS): "We made too many mistakes but fought until the end and finally won the match." Head Coach Nikolai Karpol (RUS): "It was a good match, but we made too many mistakes in serving. I am not angry when I sit on the bench - it's just a show for the spectators. But if I have the impression that it helps the team when I talk a bit louder then I will talk louder." Head Coach Hoa-Suk Ryu (KOR): It was important to win. The reason why we have won was our fast game with perfect technical skill. Unfortunately, Puerto Rico has lost today, but the team has the potential to advance to world level in the future." Team Captain Hye-Mi Kang (KOR): We hardly knew Puerto Rico. It was easier to win than we thought." Head Coach David Aleman (PUR): Korea is one of the best teams in the world and we deserved to lose. The experience we have gained from this match was important for my team. We have to develop more strength and consistency for our game. We changed our strategy in the third set, but Korea quickly reacted to that." Team Captain Xiomara Molero (PUR): It is alright to lose against Korea. This is the first time in a World Championship that we are in the second round and that was important for us. Korea played very fast and it was very difficult for us to keep up on a level like that." Team captain Yumilka Ruiz (CUB): "I admire the Greek team for their performance. We didn't expect the Greek to play so well. We hope that we will play against them more often in the future." Head Coach Luis Felipe Calderon (CUB): "The Greek team is still young, they are on the right way and have a great future. The young Nancy Carillo de la Paz was crying after the substitution because she didn't perform well today. We will bring Regla Torres on court when the team needs her most." Team Captain Maria Gkaragkouni (GRE): "It was the first time in history that we played against Cuba. We are very happy and also a bit proud that we have won one set against this strong team." Head Coach Dimitrios Floros (GRE): "We have seen the Cuban team only on TV. Now we played against them. We are proud that we could keep up. We would be happy to welcome the team in Greece soon." Team Captain Tara Cross-Battle (USA): We are pleased with this victory today. We played very steady, and I think we are on the right track to get through to the quarterfinals. Team Captain Karin Rodrigues (BRA): We didn't play too well today and made too many mistakes. That was mainly due to the good block of the USA that's difficult to beat, and the US team did attack well." Head Coach Marco Motta (BRA) I congratulate the US team that played very well today. We made too many mistakes in attack and didn't play steady. These were the main reasons for our defeat. We shall analyze the game to play better against Germany tomorrow." Head Coach Toshiaki Yoshida (USA): We played quite well in the first two sets. In the third set we did not succeed with our attacks, but our block helped us to win the match. 3-0 is a good result, but we must improve for the next game." Head Coach Stafan Panchav (BUL) The victory of China was well deserved. We play well for European standards but not for Asian standards. China played very fast and that was our problem. I would like to play more matches against Asian teams and also wish that China wins the World Championship." Team Captain Vania Sokolova (BUL) In the first set both teams played on the same level. We just made too many mistakes after that, especially in the block. That was the reason for our defeat." Head Coach Chen Zhonghe (CHN): We have not played against Bulgaria for four years. Therefore my young players do not know the Bulgarian team. In the first set our block did not work well, but afterwards we were better in serving, attacking and also in blocking. Especially at the beginning the Bulgarians played very fast. That is the difference between European and Asian volleyball. In Asia the defense is particularly good." Team Captain Kun Feng (CHN): We are very happy about our victory, because we were very nervous at the beginning of the first set. Bulgaria had a strong offence then. But in the second and third set our game improved." Berlin, Germany, Sept 6, 2002 - USA opened it's bid for the world Championship title by pounding Brazil 3-0 in the opening match of the second round of the 2002 Women's Volleyball World Championship. The Americans, who have had a dream run so far in the tournament, opened Pool G in the German city of Reisa, delivering their solid straight sets message in front of 3,500 spectators and except in the third set, Brazil was never able to stand up to their opponents. The US team was back to full strength again and had the services of libero Stacy Sykora, who had missed two matches after taking a knock on the head diving for the ball. Prikeba Phipps was, with 14 points the best scorer, while Logan Tom also played a great match (12 points). Paula Pequeno was Brazil's top scorer with 10 points. The USA already surprised in the first round of this 24-team event by winning preliminary Pool D, in a sweep that even included a victory over Russia. China also coasted through their opening second round match in Pool F, leaving Bulgaria empty handed after a 3-0 victory in just over one hour. China, still one of the favorites for the title, was much too strong for the bronze medallist of the 2001 European Championship. Although the Bulgarian spiker Antonia Zetova scored 17 points and Bulgaria killed four Chinese match points, it was not enough to win a set. The dynamic Chinese Ruirui Zhao also scored 17 points. "We didn't play for four years against Bulgaria," Chinese coach Zhonghe Chen said. "This opponent was therefore completely new for my players. Although our block was not good enough in the first set, we were able to beat Bulgaria thanks to our good serve and attack, while the block became better. The Bulgarian coach Stefan Panchev had an easy explanation for the defeat. "Our game is good enough to beat a European team, but for Asian opponents we are simply not strong enough." Championship rookie Greece scared Cuba in the beginning of their Pool E clash in Bremen by taking the first set against the three times Olympic and World Champion. The Greek players also fought very hard in the second set, but after Cuba leveled the match, they managed to wear down the Greek resistance. Cuba took a 3-1 victory, but winning a single set was also a small triumph for the Greek side, who have been one of the delights of the tournament. Zoila Barros (19 points) and Yumilka Ruiz (18 points) both played a great match. Play continues in the evening of Friday with three more matches in the second round. Other second round matches are set for Saturday and Sunday. The two best teams of each of the three groups, plus the two best teams ranked third will proceed to the quarterfinal. A report on the evening matches will follow. Head Coach Stafan Panchev (BUL): "We have played three good matches in Münster in the preliminaries and we are happy to be in Stuttgart. With China and Korea we now face two strong teams. I hope, that this will be useful for the technical development of my team." Head Coach Chen Zhonghe (CHN): "When we lost against Greece, my team was not very concentrated. Moreover, we were already qualified for the second round so I could give my substitutes a chance to play. This round will be very exciting. All four teams are very strong. Bulgaria has improved a lot in the past and has good attackers. Korea has a lot of experience, only Puerto Rico is an unknown for us." Head Coach Hoa-Suk Ryu (KOR): "The world of Volleyball has become very technical. All teams play very fast and have powerful attacks. Our goal is to go to Berlin. Puerto Rico is not known to us, but we should not underestimate them. China is very strong in our group, but we want to come second." Head Coach David Aleman (PUR): "We have already played a strong first round. Everyone talking mainly about China and Korea, but no one talks about us or Bulgaria. I like that, because I like my team to be the underdogs. We feel no pressure. We are good for a surprise, especially because we advanced to the second round for the first time at a World Championship. We can go down in history, if we qualify for the third round." Dimitris Floros (GRE): "We have to play against three good teams and know how hard this will be. But we will play without fear and we are looking forward to playing against these teams." Luis Felipe Calderon (CUB): "We wish all teams good luck here in Bremen. It will be hard for us, Russia is - we all know that - the strongest team." Marco Bonitta (ITA): "Our preliminary round was very equal, but the hardest part of this World Championship will be in Bremen. The group here is the hardest one of the three, but we still have the chance, to move to the final round. We can play better than we did in Munster." Nikolai Karpol (RUS): "We are happy to be in Bremen and we don't want to go back home soon but to the final in Berlin. Congratulations to the Greece team. They are on the right way." Head Coach Hee Wan Lee (GER): "We already had to play with full power during our five first round matches. That's why we probably are physically more tired than other teams in this pool. However, morale is high, we don't have any injured players and we certainly have a chance to get through to the final round." Head Coach Marco Motta (BRA): "We wanted to win our first round pool and played good matches. Even in the only match we lost to China, we played well. We are now hoping that the second round will be as good. None of our players are injured, and we neither fear the German nor any other team." Head Coach Angelino Frigoni (NED): "We did an ordinary job against Romania, Egypt and Canada. We know that the pool here in Riesa is really strong, but are hoping to get through to the quarterfinals. Manon Flier is currently injured. We still don't know whether and when she can play again." Head Coach Toshiaki Yoshida (USA): "Though we played quite well in the first round, we have to improve greatly in the second round. Stacy Sykora could not play in two matches in the first round due to injury, but will be fit again to play here." Pool G of the second round of the 2002 Women’s World Championship should deliver some of the best volleyball of the tournament with preliminary pool winners USA and Brazil facing two strong European teams, Germany and The Netherlands. The Americans are in excellent shape after charging through to win Pool C undefeated in their five matches, including a sensational triumph over Russia. The US side, coached by Japanese Toshi Yoshida, is a balance mix of experience and youth and seem back in the excellent form that in 2001, won them the FIVB World Grand Prix and the NORCECA continental championship. They are not without their problems. Libero Stacy Sykora, a key member of the team, has been unable to play the last two matches after she took a dive and sustained a head injury. Veteran Tara Cross-Battle was on the court in place of Sykora, but USA is stronger with Sykora in the team. It is doubtful if she will be able to return. Although Brazil lost to China on the second day of the tournament, the South American champion still finished first in their preliminary Pool D. Like Cuba, the Brazilians, under the leadership of head coach Marco Motta are introducing the next generation and they have already gone further than expected. They now face some difficult matches if they want to advance to the quarterfinals. Host Germany is a dangerous opponent for Brazil, having won the last friendly matches that the teams played. Germany has a unique problem at the Championship, as they play with the expectations of the nation on their shoulders and at times have wavered under the pressure. Coached by Korean Hee Wan Lee, Germany lost against Italy and Bulgaria in the first round and seemed set for relegation when the Czech Republic’s surprise victory over Japan put the Asians out of the best twelve. Germany then went on to defeat Mexico and slip into the second round. If Angelina Gruen and spiker Sylvia Roll are able to retain their excellent form, then Germany can surprise, especially with the home crowd, in what will surely be full stadiums, are behind them. The Netherlands had great expectations, but didn’t play as well as coach Angiolino Frigoni hoped. The Dutch squad lost against Korea and Cuba in Pool B and claimed the third spot. Frigoni has told his players that they can play freely in the second round and that will take some pressure off the team. They will however be hoping that the talents young spiker, 18-years-old Manon Flier, will be able to rejoin the team. She was injured in a training session and it is not yet known if she will be fit. This group plays in Riesa, where organizers have been hurriedly extending the seating capacity of the stadium by 500 seats, to try to satisfy the demand for tickets. Korea and China are the brightest lights in Pool F going into the second round of the World Championship. Korea is the highest seed and advance after cruising through their first round pool in Schwerin with a comfortable victory over Cuba and an easy win over The Netherlands. Now, in the second round, they have the chance to show the real quality of their playing style. There is no doubt that China, second in this year’s World Grand Prix, is one of the favorites, even if they wrapped up the preliminaries with a defeat at the hands of upstarts Greece. China has usually come out on top of head-to-heads with Asian neighbors Korea, but World Championships can often produce surprises and the Koreans are in good form. Bulgaria is the outsider in this pool. In the preliminaries, the number three of last year’s European Championship slipped into second position in Pool A, largely because of a victory over hosts Germany. They did however go down to Japan and Italy and it will be interesting to see how they shape up against the Asian giants China and Korea. Meanwhile, the tiny island nation of Puerto Rico has produced one of the tournament’s biggest surprises to advance to round two and the Central Americans are already extremely happy to be listed among the best twelve teams in the world. Puerto Rico has already achieved a lot, and can now play without any pressure, even though it remains to be seen if they are able to extend their winning streak against teams of the caliber of Korea, China and Bulgaria. This group plays in Stuttgart. The second round of the Women’s World Championship will see a face-off of the two FIVB World Ranking leaders, Russia and Cuba. They are joined by Italy, another very strong team, as well as upstarts Greece, riding on a wave of success that has seen them deliver their best ever international performance in this important tournament. But both Cuba and Russia, until now, have not delivered faultless performances. Three times Olympic and World Champion Cuba lost their opening match against Korea and Russia succumbed to USA. Italy, on the other hand, swept through the preliminary round with the enviable result not having conceded a single set in their five matches, taking down Japan, Mexico, Czech Republic, Germany and Bulgaria in the process. Now Italy, second at the 2001 European Championship, also has the opportunity to defeat Russia in their opening match of Pool E on Friday, 6 September. Two important questions are outstanding. Will Italy be able to sustain the same free-wheeling, relaxed style that they applied in the preliminary round, and will Russian captain Evguenia Artamonova be fit to play? Artamonova was not on the court for the last two matches Russia played because she injured her back during a training session last Monday. Her coach Nikolai Karpol informed the media after the last first round match that she is probably able to play. Meanwhile, the newly formed young Cuban side is steadily improving after a shaky start, although team officials have cautioned that this a new generation of Cuban stars needs time to mature and probably will not top the podium this Championship. Greece completes Pool E, and the World Championship rookie has surprised and delighted with their advancement to the second round. But although the Greek team charged through the first round, it now remains to be seen how they shake out against the other strong pool members. Whatever happens in the second round, Greece will go home with confidence and valuable international experience, as well as the knowledge that they have already delivered their country’s best ever performance in an international women’s volleyball competition. This creates an excellent foundation on which the Greek players can build while preparing for the 2004 Olympic Games in Athens.